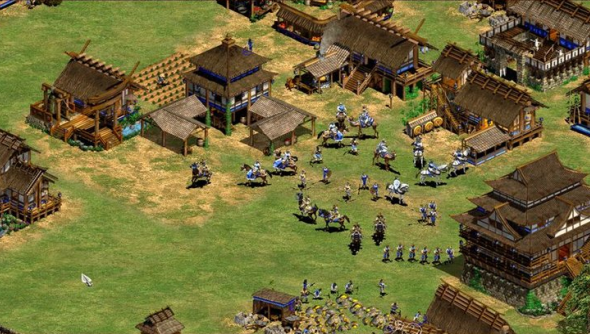 It’s been 15 years since the release of Age of Empires 2 but it still has one of the most active, loyal fan bases of any RTS. The lobbies are still filled (and when the official lobbies went down the fans made their own multiplayer system), they coded their own mega balance patch, and they even created their own expansion pack in lieu of official support. It’s no wonder then that the World Series of Video Games are funding a $120,000 prize pot for the Age of Empires 2 Championship, the biggest tournament in the game’s history. The tournament’s set to kick off on 3 November with entries closing on the 27 October. WSVG and the other organisers, Voobly and TyRanT, have made $10,000 of the prize money available to prediction contests, stream giveaways, vouchers, and merchandising so there should be at least small prizes available for people at all levels of play. So if you’ve been play Age of Empires 2 for the past 15 years but still cower at the thought of professional play then there’s the solace that you don’t need to get through to the finals to see a reward. The tournament is free to enter, too, so, really, if you’re a keen Age fan, this is definitely worth investigating. More details can be found on WSVG’s site.